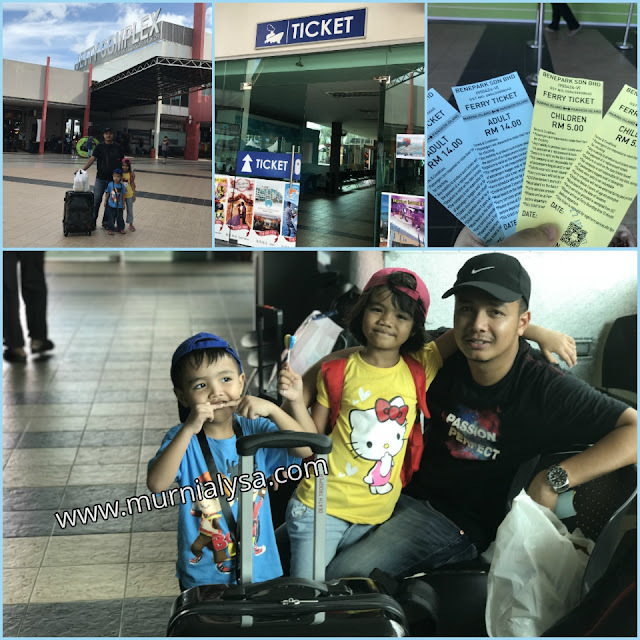 Hi all..This time is my story about a family vacation for three days and two nights in the Pangkor Island. 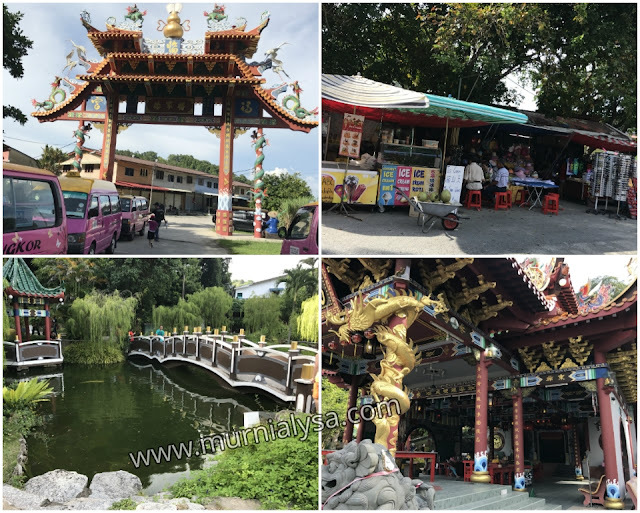 We departed from Bayan Lepas, Penang at 2:00pm and arrived at the Jetty Marina at 4.30pm. Our ride for 2 hours and 30 minutes by Highway Utara Selatan and then go to Changkat Jering and as far as 180km of Pantai Remis. Up on the Complex Jetty Marina and we went to the ticket counter and buy ferry tickets. Ticket price for adults is RM14, while children is RM5. Our ferry departs at 5:00 pm and arrived at the Pangkor Jetty takes approximately 10 minutes only. More or less like the Butterworth ferry to the Penang Island only. Pulau Pangkor is located about 90km southwest of Ipoh town. It is largely inhabited by fisherman who live in scattered fishing villages along the eastern coast. 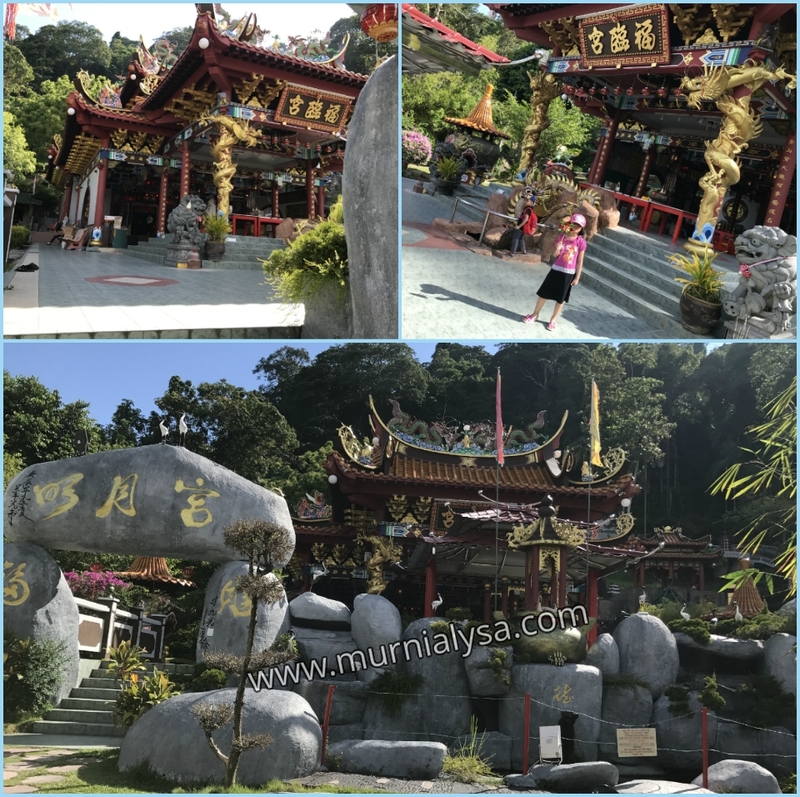 The main attractions in Pangkor Island are the beaches. There are several excellent beaches in the Island. However, Pangkor Island offers more then beaches. As in Pangkor Island we took a taxi to the hotel. Taxis here are the pink van. Fee taxi from the jetty to the Coral Bay Resort Pangkor only RM10 for a taxi. And is just 5 minutes away. Fortunately, I have booked a room in advance in Coral Bay Resort with https://www.traveloka.com/en-my. So although we got a bit slow but we already have a room. Since that day is a Sunday so very many hotel guests. After a short break, our family down to take our child to a pool. Nearby there are two types of pools. One for adults and one for children. 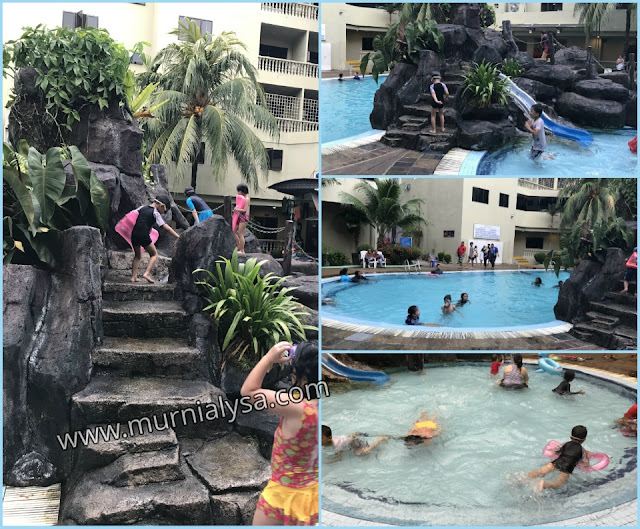 My children is very enjoy to play and swimming here. At the night we went out to buy food from the stall nearly our hotel. There are many grocery shops and eateries that Coral Bay front hotel. So we do not worry and do not have to eat in the hotel cafe. So can save a little. Festive evening with visitors and foreign tourists shopping in the store and also a seafood restaurant located nearby. We woke up early to go out to buy breakfast. 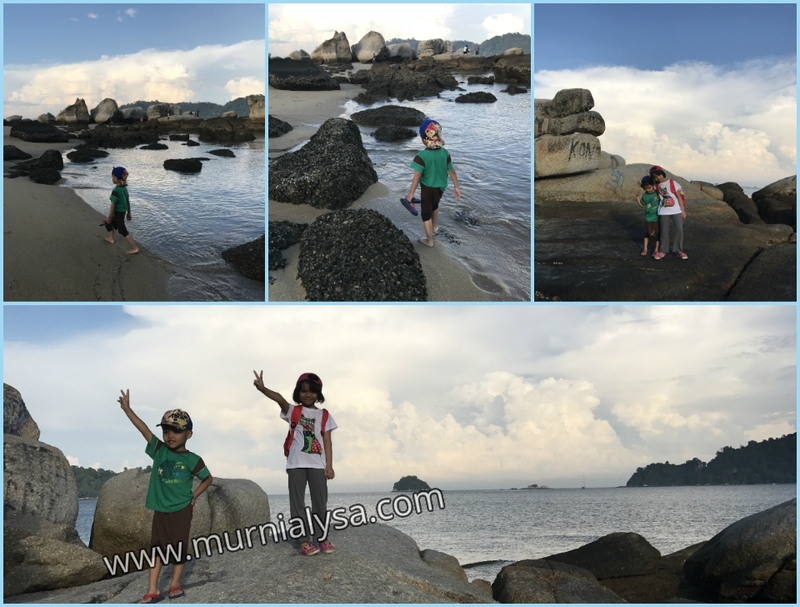 After breakfast we went out to enjoy of the morning scene of the island of Pangkor. Indeed beautiful and fresh. 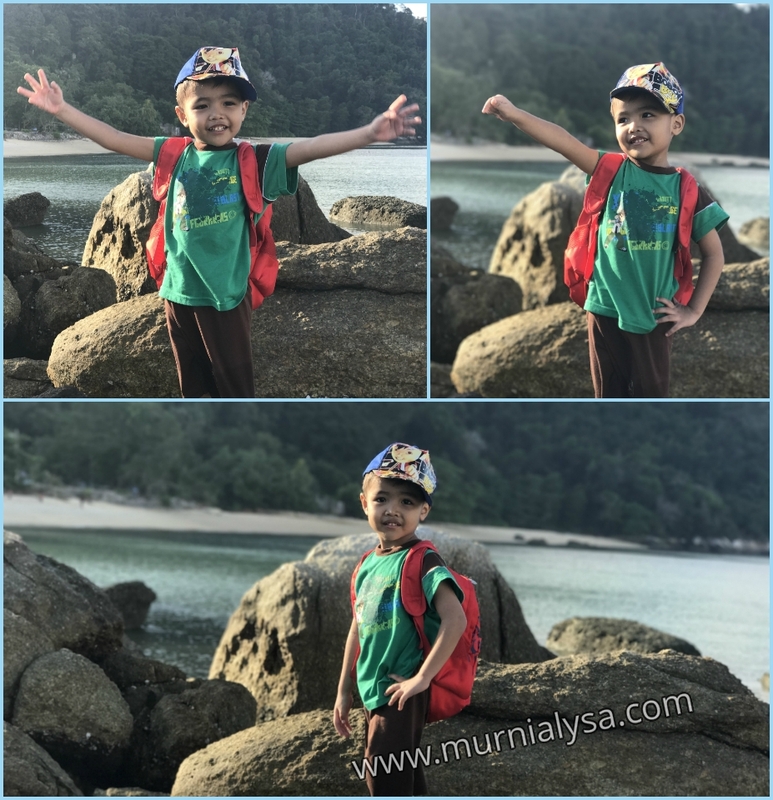 After that we went to the beach sand which is located in Pasir Bogak Beach nearly with our hotel stay. 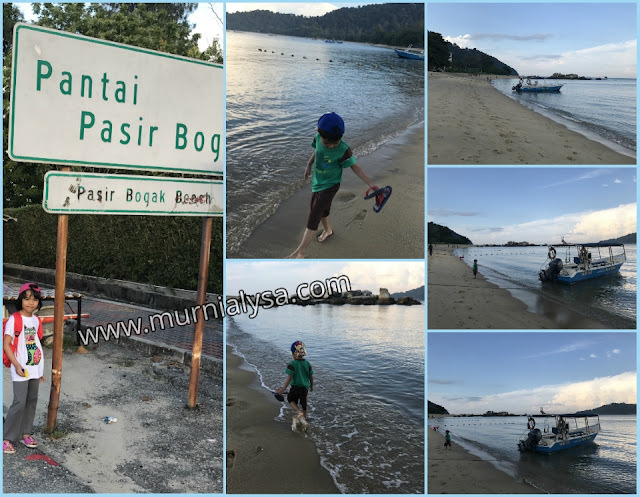 Pantai Pasir Bogak claims to have the "Greatest Swimming pool in the World." Regardless, Pasir Bogak is a beautiful beach, no matter if the claim is true. Around the main area we will find plenty of hotels, all within minutes walk from the beach. A bit away from the hotels area, the beach is even better. Especially off season and week days we can be completely on our own. If we are lucky, you might see sea otters swimming nearby. The sea is perfectly safe for families with little children although we will need sunscreen to protect our skin. 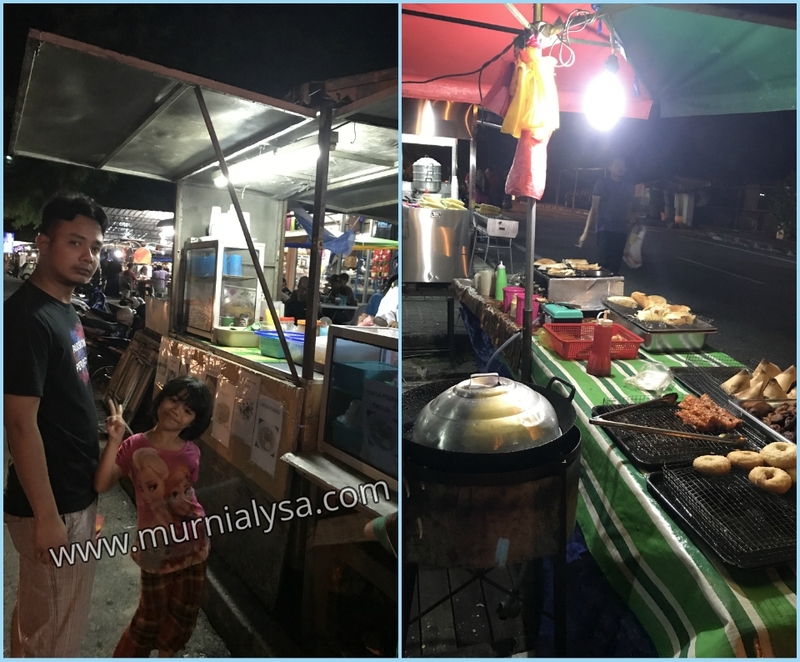 All along the stretch of beach there are picnic tables but we will have to bring your own food and drinks from either your hotel or Pasir Bogak center. Pasir Bogak, largest swimming pool in the world? It is a lovely place You might see local fishermen being busy to get their nets in. They're happy with a helping hand. Children helping local fishermen catching fish at Pasir Bogak Some vendors in Pasir Bogak center have cool and fresh green coconuts for sale. As a way to kill our thirst. The far side of Pasir Bogak at the far side of Pasir Bogak, passing the Sea View Hotel. Afternoon we went out to walk around the island of Pangkor. We hire drivers submarines 2 hours with a fee of RM70 only. 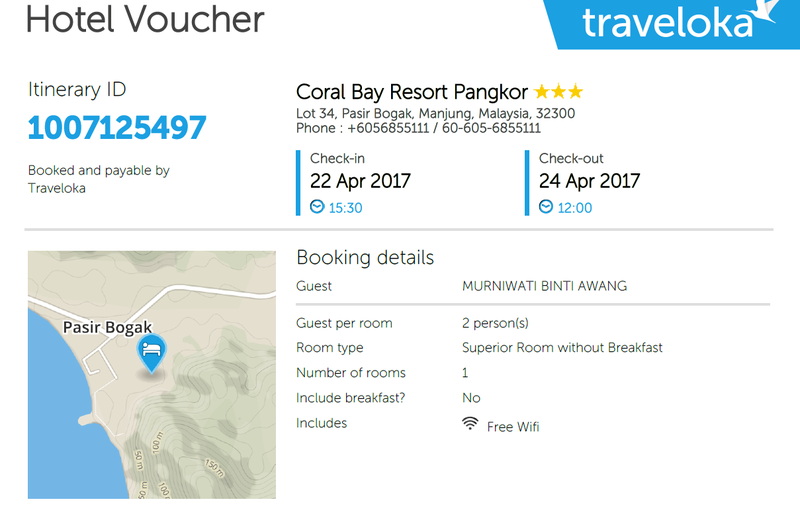 Taxi drivers will take us to 4 places of interest in this Pangkor Island. 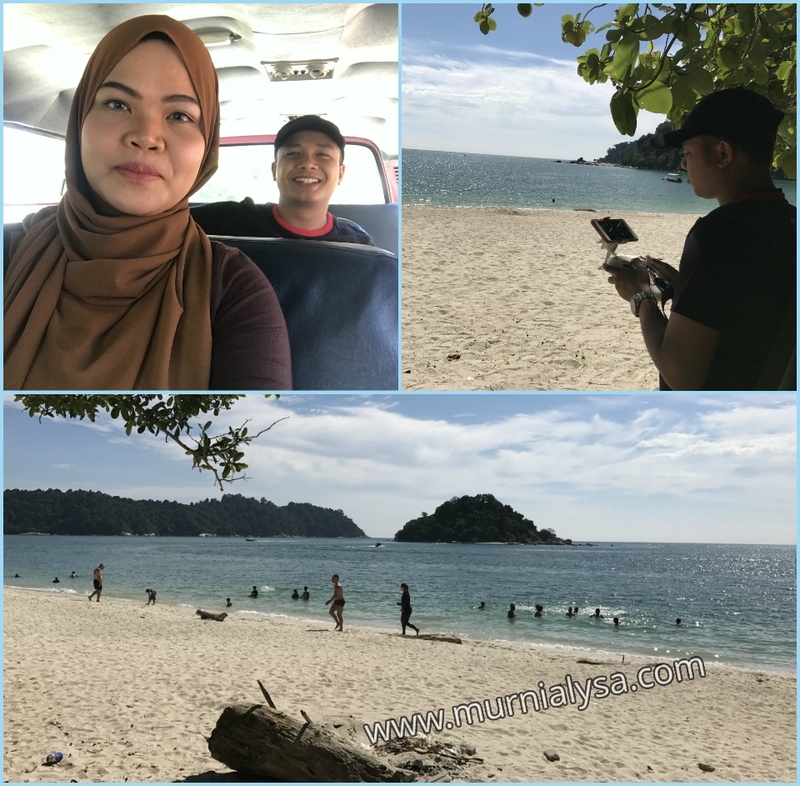 We decided to hire a taxi with a driver for us lazy to drive because the roads on the island of Pangkor is very narrow and hilly. So for better security we hired a taxi. Our first destination was a stopover on the Pantai Teluk Nipah. This beach is very beautiful with the water is blue and white colored sand. 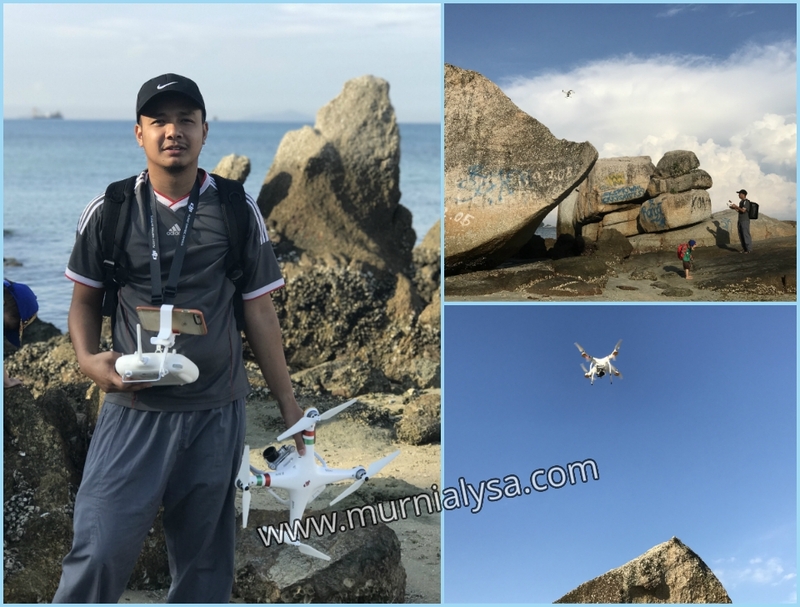 My husband had played drones there to take video images. 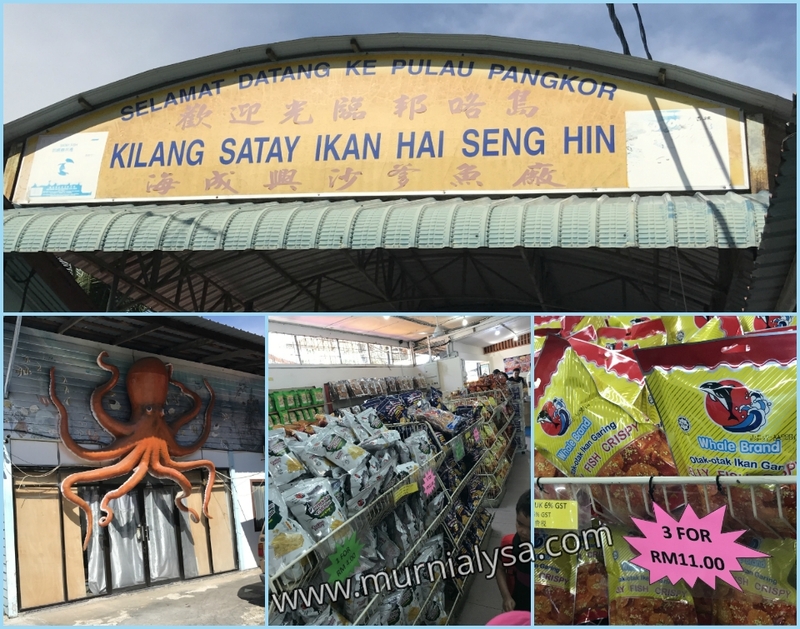 Our second destination is Kilang Satay Ikan Hai Seng Hin. Here are selling dried seafood and processed into food at low prices. We were there for 20 minutes shopping for fish satay to brought back. Our final destination is Dutch Fort ( Kota Belanda ). 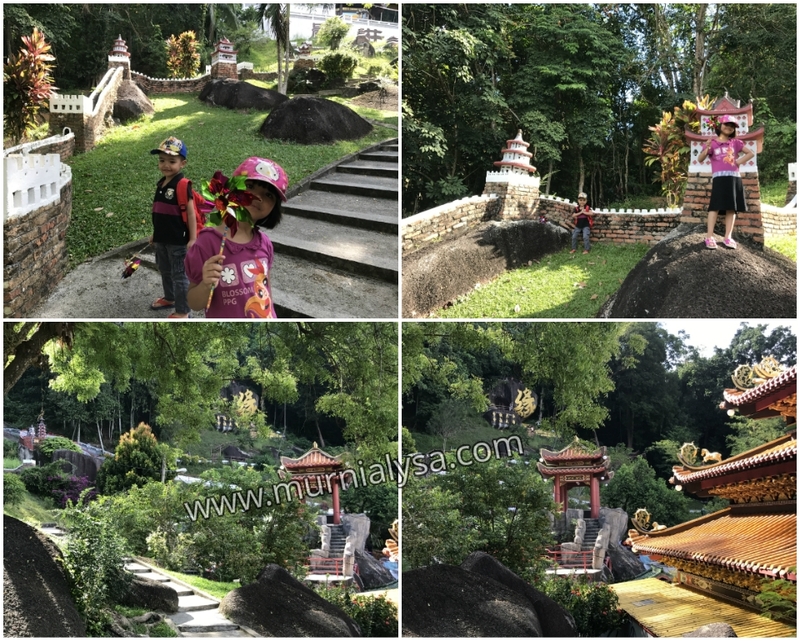 The ruins of the Dutch Fort on Pangkor Island are the remnants of an outpost of Dutch attempts to control trade in the Malay peninsula. 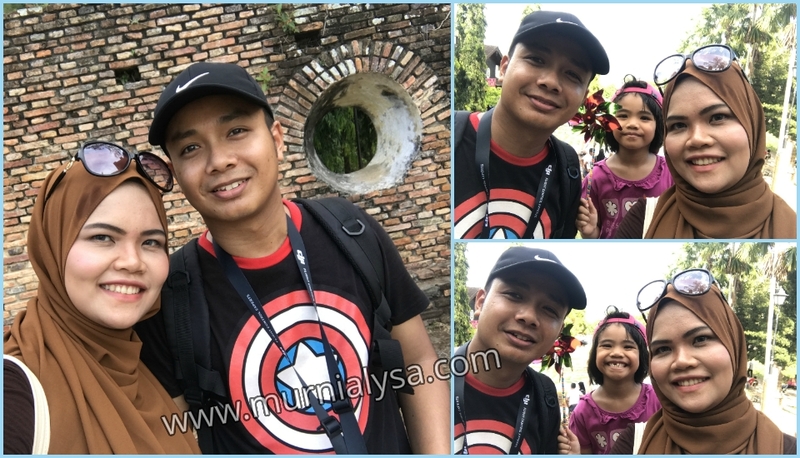 In the Malay language, the fort is called Kota Belanda. The fort was built by the Dutch in 1670 for storage and protection of tin supplies from the sultanate of Perak. 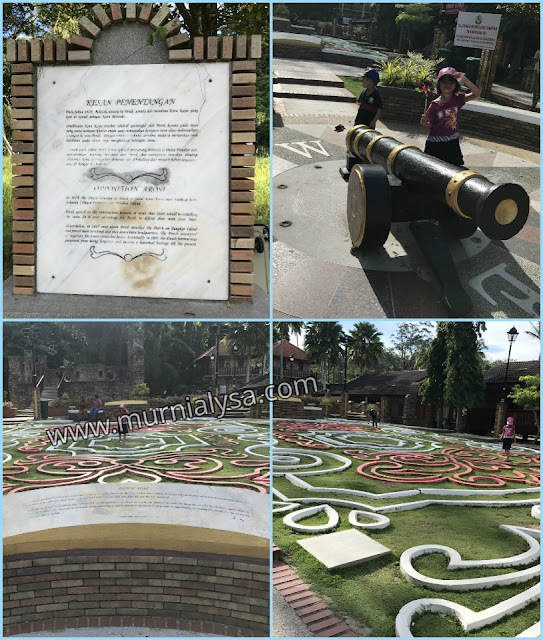 The fort was destroyed in 1690 by the Malays who were discontent with the methods used by the Dutch in obtaining minerals. It was rebuilt by the Dutch in 1743 and a force of 60 soldiers was placed to guard the fort until 1748, when the force was disbanded and the fort abandoned. The fort was reconstructed by Malaysia's museum department in 1973 and was gazetted as an ancient monument and historical site under the Antiquities Act 1976 No. 242 Perak Gazette dated March 21, 1978. According to this act, any person found guilty of vandalising an ancient monument and historical site is liable to imprisonment not exceeding three months or a fine not exceeding five hundred ringgit or to both. The fort is set a short distance from the ocean and consists of three brick walls with round windows at regular intervals. A small park and some souvenir stores have been set up around the area for visitors and is a popular tourist sight on the island today. Evening we went out again to Pasir Bogak Beach again for sea bathing and watching the sunset. 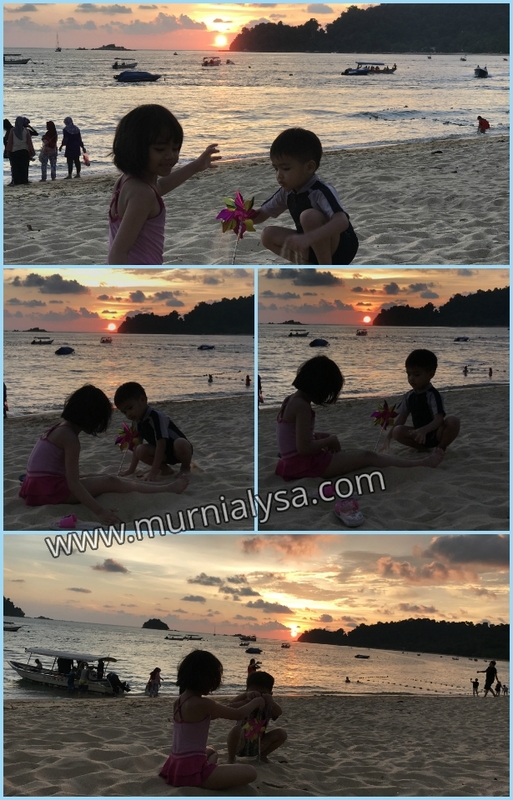 Our family really enjoyed the beauty of nature at the beach. Sea bathing with my kids also enjoyed it. 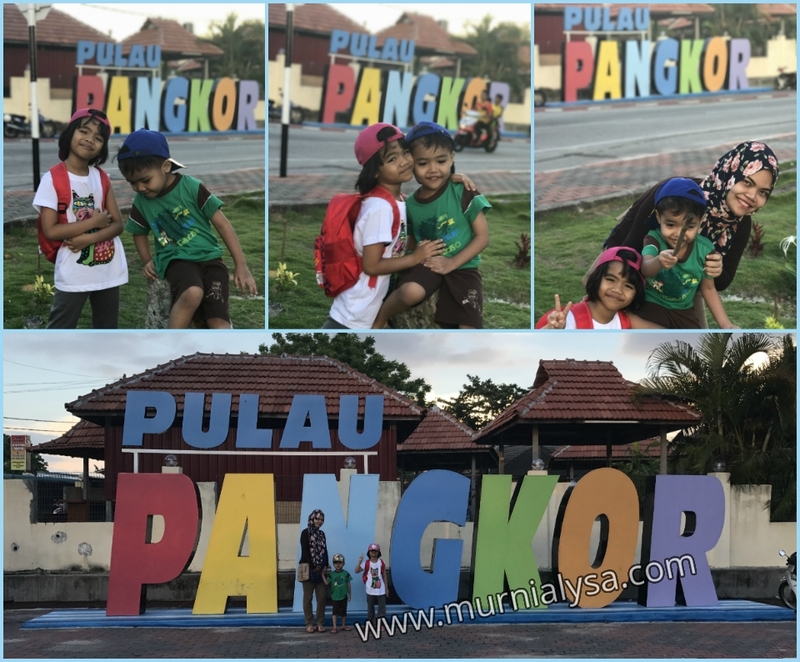 Later we will come again to this Pangkor Island. Because this time we cannot carry out activities such as sea island hopping and snorkeling as I am 7 months pregnant. But This is quit adventure for me as a Pregnant Mum with 2 naughty kids. 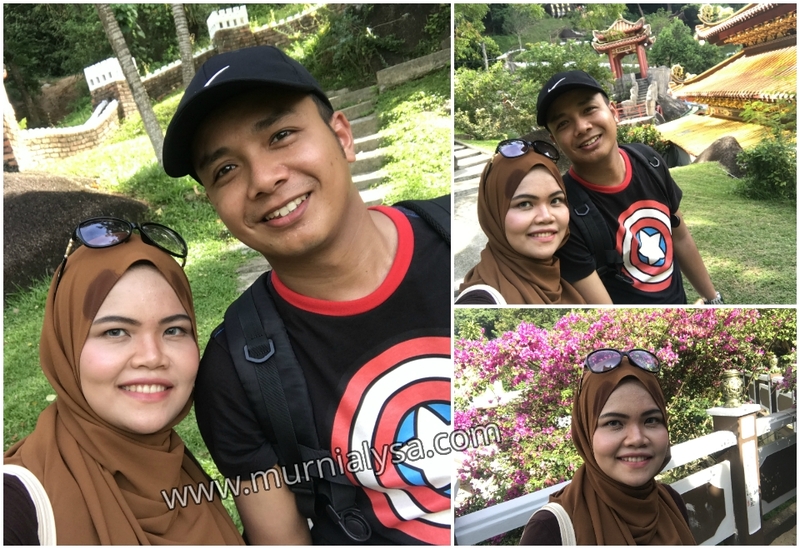 but we are very enjoy our 3 Days 2 Night in Pangkor Island. This is video from my husband YouTube Channel. Can watch this video to follow all my family activity in Pulau Pangkor. Thank you for watching. 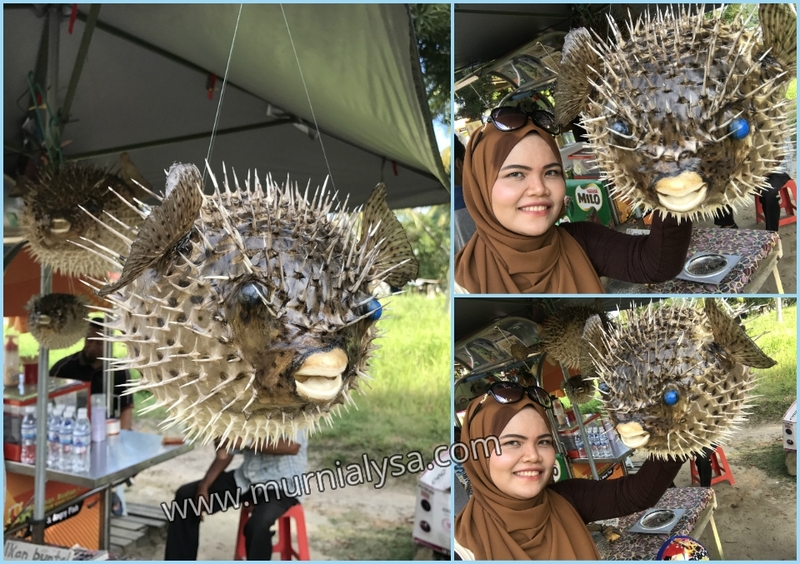 seumur hidup saya sekali je saya pernah jejakkan kaki ke pulau pangkor. walaupun tarikan pulau pangkor hanyalah pantai, tapi ia sesuai untuk sesiapa yang inginkan ketenangan dari kesibukan kota raya. congratulation for your win at traveloka !